From finding maps and restaurant reviews to sharing photos with family and friends at home, Travel WiFi keeps you connected regardless of where your travels take you in France. Traveling to Paris doesn’t have to mean losing touch with home. With smartphones and tablets a part of nearly every traveler’s must-have items, there’s no need to worry about expensive data roaming charges or finding an unpleasant surprise on your phone bill when you get back home. Travel WiFi has created a simple solution for staying in touch with family, friends and work while traveling in France – a personal mobile hotspot! This device is a small wireless modem that allows you to connect up to ten devices to the internet, making it ideal for families so everyone can be connected. The best part is that the Travel WiFi hotspot is pocket sized, which means you can carry it with you everywhere you go. 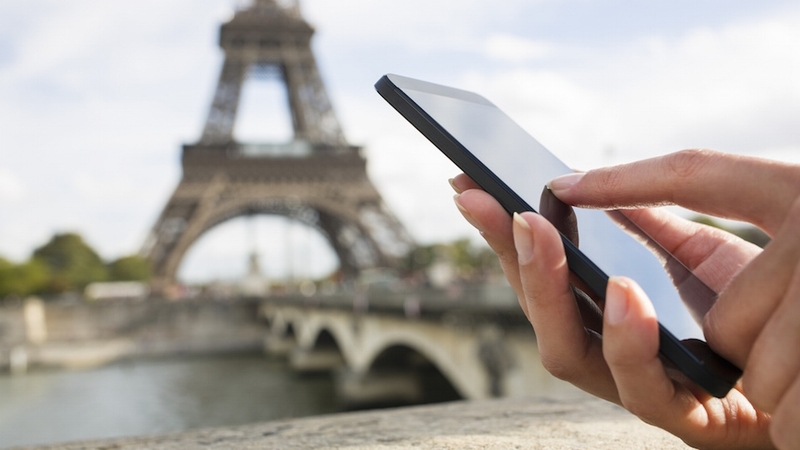 Check maps while out and about, use your favorite Paris apps, look up addresses or find information while sightseeing all without worrying about big roaming fees. Enjoy the convenience of accessing the internet, social media, email, Skype and more just as you do at home! Starts at only €6 Euros per day – a huge savings compared to data roaming! Connect up to 10 devices simultaneously – perfect for families!